Online registration for the DV-2016 Program will begin on Tuesday, October 1, 2014 at 12noon Eastern Daylight Time, and the result will be announced on May 2015. Instructions for the DV 2016 program have not been released by the US State Department yet. Entries for the diversity visa lottery or "green card lottery" are made at a date and time that is designated by the U.S. Department of State, which is responsible for the program. In general, there is a two-month window to apply. The application process for this year is not open yet and you may access updated information at www.dvlottery.state.gov when the information is up in following months. Applications are made electronically and paper entries are no longer accepted. The Diversity Immigrant Visa Program, more commonly known as the DV Lottery or Green Card Lottery, is a congressionally mandated program based on Section 203 (c) of the Immigration and Nationality Act (INA). The annual program provides a maximum of 55,000 Diversity Visas (DV) each fiscal year to persons from countries with low rates of immigration to the United States. 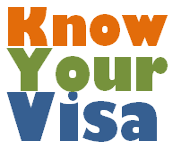 The annual program makes visas available to persons meeting simple, but strict eligibility requirements. A computer-generated, random lottery drawing chooses selectees for the lottery. The visas are distributed among six regions with a greater number of visas going to regions with lower rates of immigration, and no visas going to nationals of countries sending more than 50,000 immigrants to the United States over the period of the past five years. Within each region, no single country may receive more than seven percent of the available DVs in any one year. Application to the DV Lottery Program is done electronically. It is a fairly simple application but has stringent eligibility criteria. Applicants must be natives of a country that qualifies for the program, or the spouse of a person from a country whose natives qualify to the DV Lottery. As the instruction for DV-2016 program hasn't been released yet, it is uncertain as for now which countries are NOT eligible for DV-2016. As for your reference, countries that were NOT eligible in 2015 were as the following: Bangladesh, Brazil, Canada, China(mainland-born), Colombia, Dominican Republic, Ecuador, El Salvador, Haiti, India, Jamaica, Mexico, Nigeria, Pakistan, Peru, Philippines, South Korea, United Kingdom(except Northern Ireland) and its dependent territories, Nigeria, and Vietnam. Applicants who were born in a country excluded in the program may still be eligible, if neither the applicant's parents was born nor resided in said country at the time of applicant's birth. In such a case, the applicant may claim nativity in one of his/her parent's country of birth, if such country is one that is part of the DV Lottery program. Applicants must also meet either the education or work experience requirement. They must at least have finished High School or have two years of work experience within the past five years in an occupation requiring at least two years of training or experience. A computer-generated random lottery drawing chooses selectees for diversity visas. Individuals whose applications were selected can check the official website to see if they have been selected. This is to prevent fraud in the system as many people in the past have received fraudulent winning emails and other messages. For more information on the DV Lottery and to access the application, please visit the Diversity Visa Program at the U.S. Department of State website.